It's funny how pulling off effortless cool can actually feel like the hardest look to pull off. As a self-confessed heels lover I never thought I would love this Sport-Chic trend so much, but alas I have been bitten by the bug and can stop trying new outfit combinations. Not sure you can pull it off? 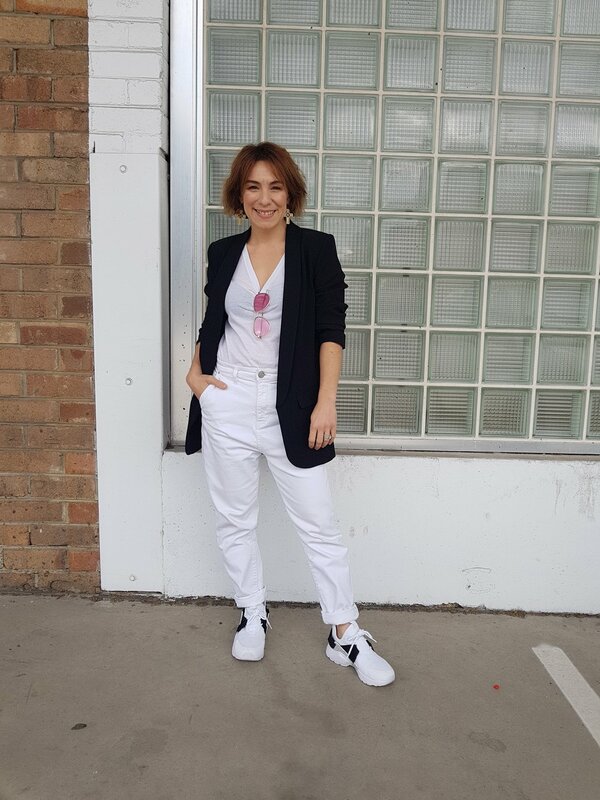 Here are my top tips to help you nail it and some of my recent outfit combinations to give you some styling guidance. TIP # 1. KEEP IT CLASSIC - If you're new trying this trend keep your outfit simple to build your confidence. Sticking to a monochrome palette is a good way to start experimenting then get more adventurous as your confidence builds. TIP #2 STRIKE THE RIGHT BALANCE - Getting the proportions of your outfit right is key. Effortless cuts are key, but you still want to show you have shape. This outfit works because the fitted skirt balances out the volume of the sweater. Also seeing a bit of leg - or some ankle if you are wearing pants - is a must to avoid looking dumpy. TIP # 3 BE FEARLESS & OWN IT - the key to always looking stylish is walking tall and owning your look confidently. Not everyone will love it, but if you feel good, that's all that counts.